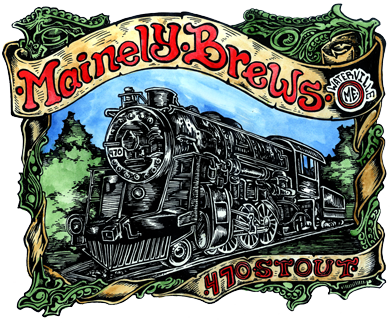 Mainely Brews Restaurant & Brewhouse is the place to be for first-rate food, the finest ales, and the best live music in Central Maine. Our tavern-style setup and friendly staff create a warm and welcoming environment you're sure to love. 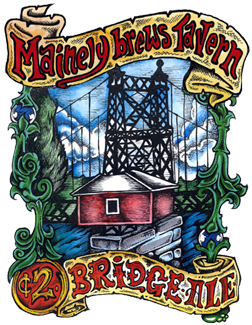 Mainely Brews is Waterville's first brewhouse, currently offering six different varieties of microbrew beers. 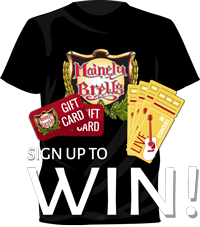 Sign up for our e-newsletter and you'll automatically be entered to win gift cards, t-shirts, concert tickets, and more. New winners every month! Fresh, fun and wholesome meals for our diners 12 and under. View our wide variety of draft beers. Ask your server about our seasonal selection. Named after one of the oldest suspension footbridges in the US, this bridge crosses the Kennebec River and connects the cities of Waterville and Winslow. Workers frequently used this bridge to reach the paper mill for two cents a day. 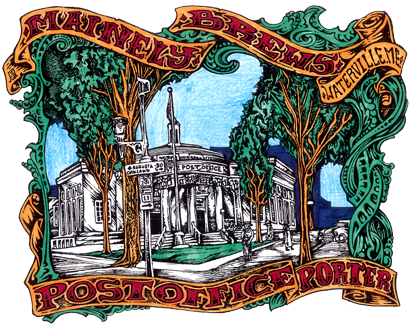 Our signature pale ale is made with the finest Cascade hops and Crystal malts. 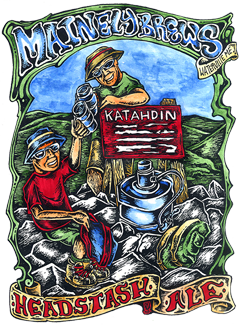 A tribute to the spots along the Appalachian Trail where hikers would strategically place useful objects near a campsite for the next hikers to enjoy. This peach-infused Hefeweizen is made to stimulate your taste buds. Chug-a-chug-a-choo-choo. Named for the landmark locomotive that pulled passenger cars from Portland to Bangor years ago. You can visit the 470 on College Avenue here in Waterville. This sweet stout has a smooth finish, giving it a creamy taste. Our house porter is named after the historic building in which we reside. A tribute to all the postal workers, it is a traditional European-style porter, just a little sweet to balance out the bitterness. Known for its potency, this full-bodied, heavy-malted, dark red ale with roasted highlights provides an authentic red ale taste. A crisp, light summer wheat beer, filtered and smooth for a refreshing flavor that is sure to tame the taste buds. Let us not forget the many light houses along the coast of Maine. It will BLUE you away! This light, crisp ale is infused with Coastal Maine blueberries and is named for Maine's number one exported fruit. A true Mainely experience. Site designed and developed by Mix Maine Media.